In a small town lost to despair, a dark carnival of a market appears. 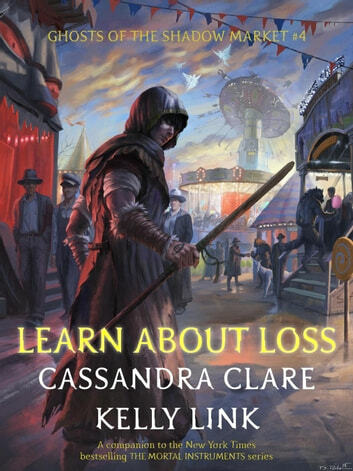 In the first of Cassandra Clare's Ghosts of the Shadow Market co-written with Kelly Link, faeries and warlocks we know converge, and the fate that will one day produce Kit Herondale is sealed. 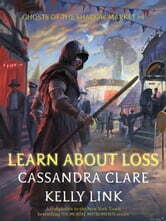 "Clare continues her talent for mixing hip, modern humor with traditional fantasy." "[P]lenty of romance, loss, honor, and betrayal to make the journey worthwhile. An experienced storyteller, Clare moves the plot quickly to a satisfying end." Ce livre c'est le best des bests des livres j'ai vraiment adoré. Je trouve que ce livre est un des meilleurs de toute la série de Cassandra Claire. Mais les autres sont bien auss!!! Amazing as always. I love this world and the characters. There is so much diversity and uniqueness.